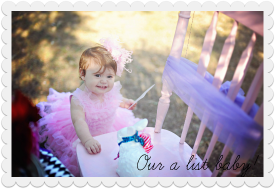 There is nothing more fun than dressing up AListBaby! Check out this cute navy blue and white bubble with a matching hat…how sweet?! This summer, baby girl will be sporting classic looks in navy, red, and white…along with her precious pale pink dresses and bubbles. Many looks have matching hats..and she will be wearing shoes from her vast collection. I purchased many clothing items when I was expecting her, but we still manage to find some cute things at the stores when we go shopping together. 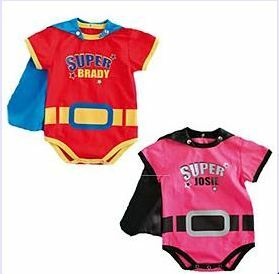 After all, you can NEVER have too many cute baby clothes! 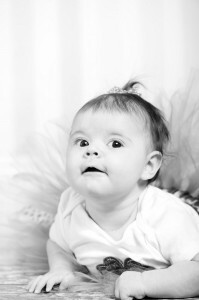 Our little Irish cutie had her photos taken in this adorable fluffy tutu and shamrock onesie. St. Patrick’s Day has always been a big deal to me, since we are Irish and it also happens to be my “half-birthday”. Usually, I go out for corned beef and cabbage, a tradition I started with the AListGrandpa! Mr. AList and I have continued the tradition since we met. AListBaby prefers to stay close to home in the evenings, so I think Mr. AList will get Corned Beef and Cabbage to-go for us! We have been reading AListBaby a St. Patrick’s Day book we bought for her. We will probably make the rounds next Sunday to visit her Grandma and some friends, and we will play her some Irish music! How will you celebrate St. Patrick’s Day? One of the most exciting things about expecting a girl is all of the fun clothes I am collecting for her! Chubby Baby sent me the cutest hot pink romper yesterday! I received the small 6-12 month romper…and I cannot wait to have her photograph taken in it. The fabric seems very comfortable. There are many colors to choose from…but how can you go wrong with hot pink? I think this is the perfect outfit to wear to a birthday party! As the temperatures soar over 100 degrees in Dallas, it is hard to imagine winter. But we are loving these fabulous winter coats from Armani and Gucci! Such style! Such luxury! 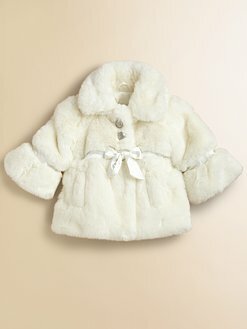 Both baby girl coats are available at Saks. We are on the hunt for the cutest baby girl clothes, and we are impressed by these comfy and American-made items from American Apparel. 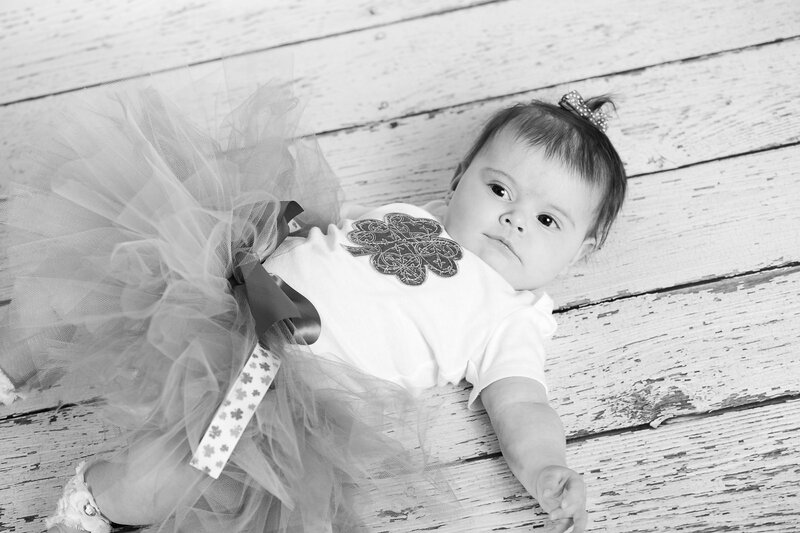 This organic infant baby skater tank dress is so bright and comfy! 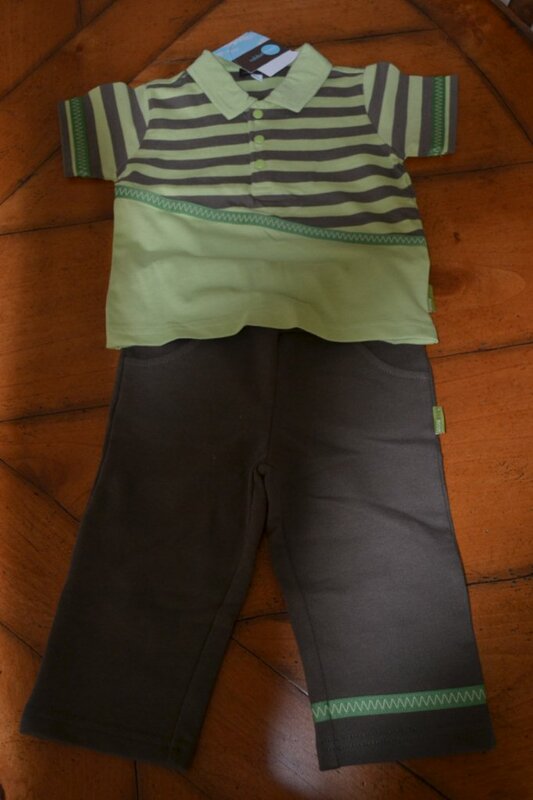 And these infant cotton spandex leggings look adorable with this infant baby rib long sleeve rib T. These items are all functional and cute—a perfect fit! 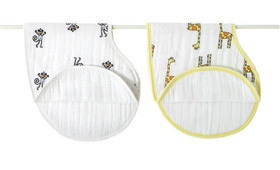 Aren’t these the coolest baby rompers you’ve ever seen? They are from PersonalCreations.com and can be customized for the baby. 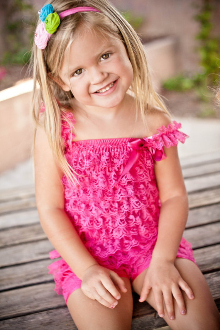 We just love that they’re a bit different than the traditional romper but still feature snap convenience and are available in size 12, 18 and 24 months. 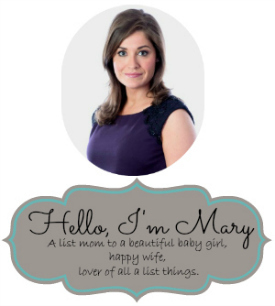 Mother’s will love this gift for Mother’s Day! 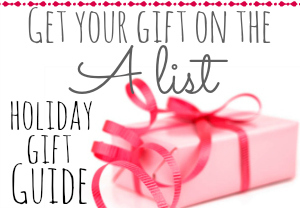 This site has gifts moms love! There is just something about a pediped shoe that makes us delighted. The quality is unmistakable. And the style is so sweet! pediped has launched their Spring/Summer 2012 Collection. Highlights of the collection include a new sole for the Originals line, and an expanded Adventure Line. 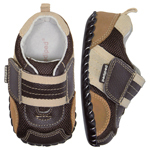 Kids everywhere will be able to enjoy the outdoors in style with footwear featuring a trendsetting color palette of metallic, jewel tones and bright accent colors, and comfort with all shoes in the collection offering pediped’s signature comfortable fit. With styles ranging from water-safe shoes, gladiator sandals, athletic styles, boat shoes, Mary Janes and more, pediped’s expansive Spring Summer 2012 collection includes a shoe for every need and occasion! We LOVE our new Adrian pair, which retails for $33. Check out the line at pediped.com! 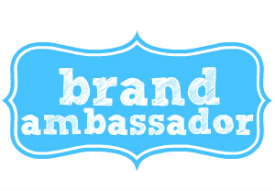 Sign up to become a pediped Insider today at www.pediped.com for news of special promotions, new product introductions and more. When I want a fun, trendy outfit for one of the little ones in my life, I turn to Rabbitmoon! This collections are creative, stylish and unique. And the best is that all of the pieces are COMFORTABLE, made with soft cotton fabrics. The separates are easy to mix and match. Our friends at Rabitmoon sent us this adorable outfit. 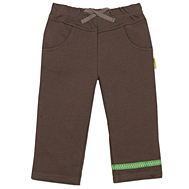 These brown soft terry sport pants look perfect with this green and brown pieced collared shirt. Both are part of the line’s wild collection. It’s sporty, comfy and FUN! 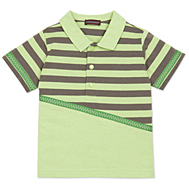 This look will really bring out the personality in your little guy. I put the two separates together here…and its all ready to be gifted to one of our favorite little guys!